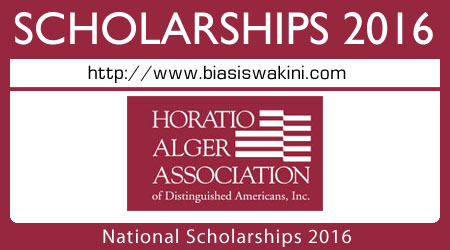 As one of the nation’s largest college financial aid programs in the country, the Horatio Alger National Scholarship Program is one of the major scholarship programs nationally that specifically assists high school students who have faced and overcome great obstacles in their young lives. The National Scholarship Program is awarded to eligible students in all fifty states, the District of Columbia, and Puerto Rico. National Scholars receive an all-expenses paid trip to Washington, D.C., during the spring of their senior year to participate in the National Scholars Conference. Recipients must attend the National Scholars Conference to receive the award.